Trim empty, whitespace only lines at the beginning and end of file. Delete empty, whitespace only HTML and XML tags. Remove code comments and collapse lines. Double Prime: ″ to "
Tools -> Command Palette... -> Package Control: Install Package, type the word Trimmer, then select it to complete installation. 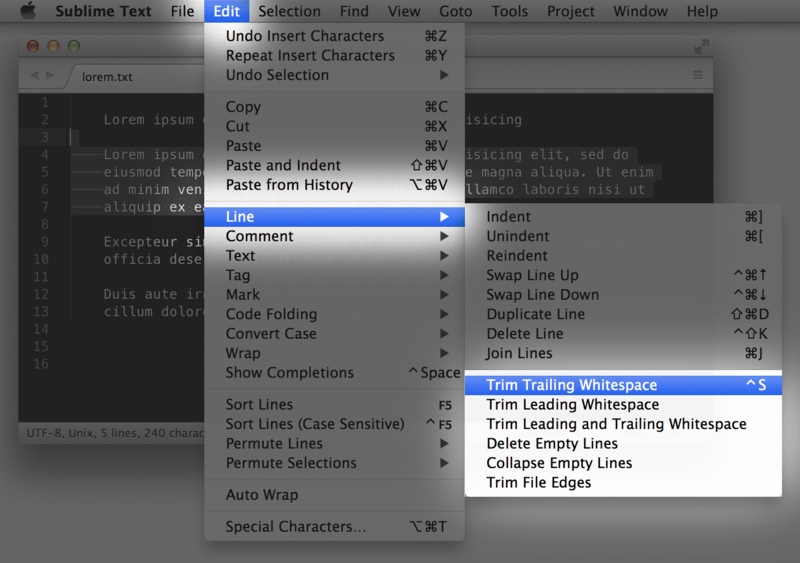 To install Trimmer using Git, change to your Sublime Text Packages directory and clone the Trimmer repository.